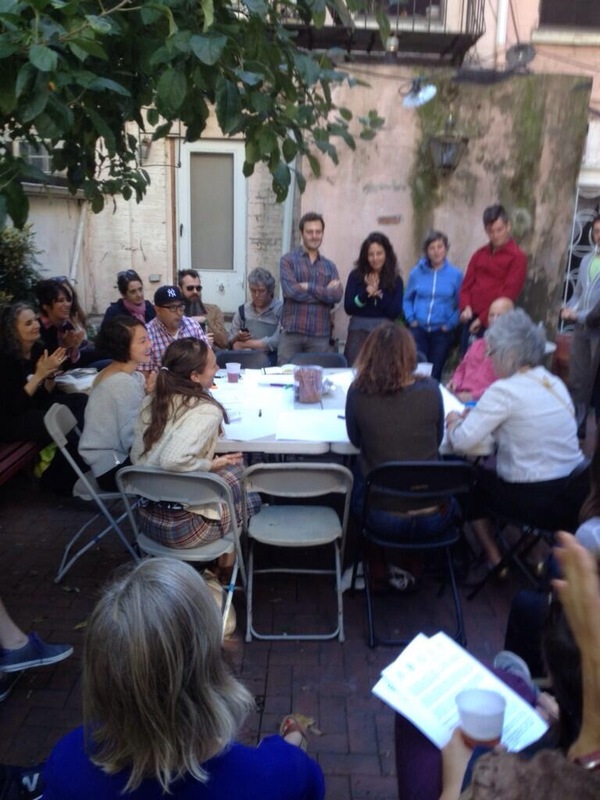 We had an awesome time Sunday at Brooklyn Commune General Meeting #4 where we joined forces with the PRELUDE FESTIVAL and BROOKLYN COMMUNE for a tour de force afternoon of drinking, mingling, discussion and the launch of the 2013 Performing Arts Census! And then after an interlude of drinks & mingling, we had a Long Table discussion about the relationship between aesthetics & the economics of cultural production with super special invited guests including Clyde Valentin, Carla Peterson, Gelsey Bell, Annie Dorsen, Shonni Enelow, Arthur Aviles & a whole bunch of other, awesome, super genii. More to come! Check out our social calendar on this site or on FB and join the fun!